For these reasons, I find Physis technology to be truly grand in what it can do. 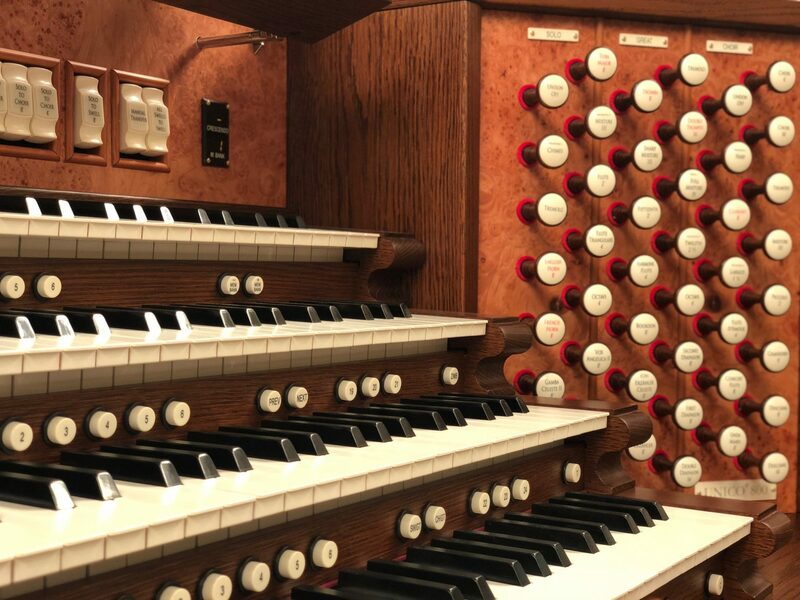 Early in 2015, this faith community embarked on a remarkable journey to rebuild an aging and tonally inadequate Austin Pipe Organ. Built in the late 19th century, our sanctuary is replete with historical significance, but it is not a museum. It is an active and outwardly-focused congregation in the heart of Olde Towne Portsmouth, Virginia, where diversity and modernity collide with the traditional and the eternal. We seek to “go out into the neighborhood” to let the light of Christ shine in the darkness, bringing his life and love to a broken world. One of the ways we reach out is through our traditional and contemporary music programs. 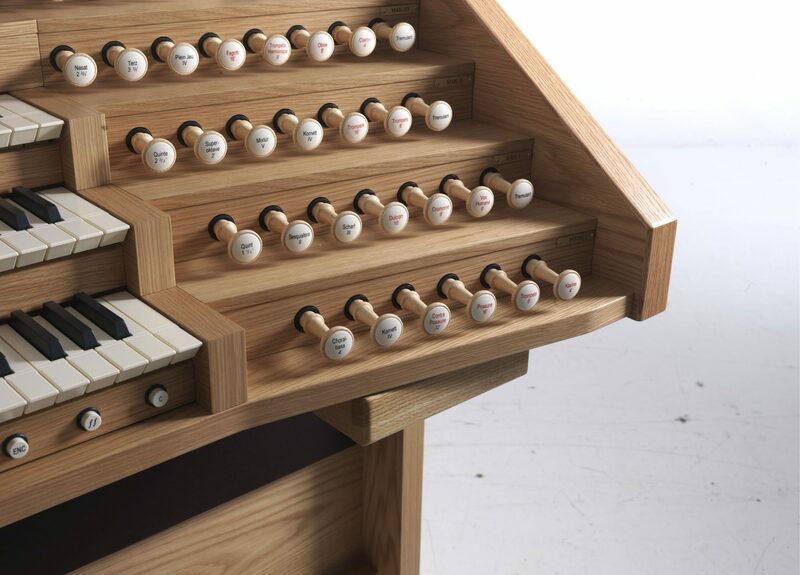 Because “we sing our theology,” it was decided that it was of the utmost importance that a new hybrid instrument be sought to accompany the worship experience of our brothers and sisters. 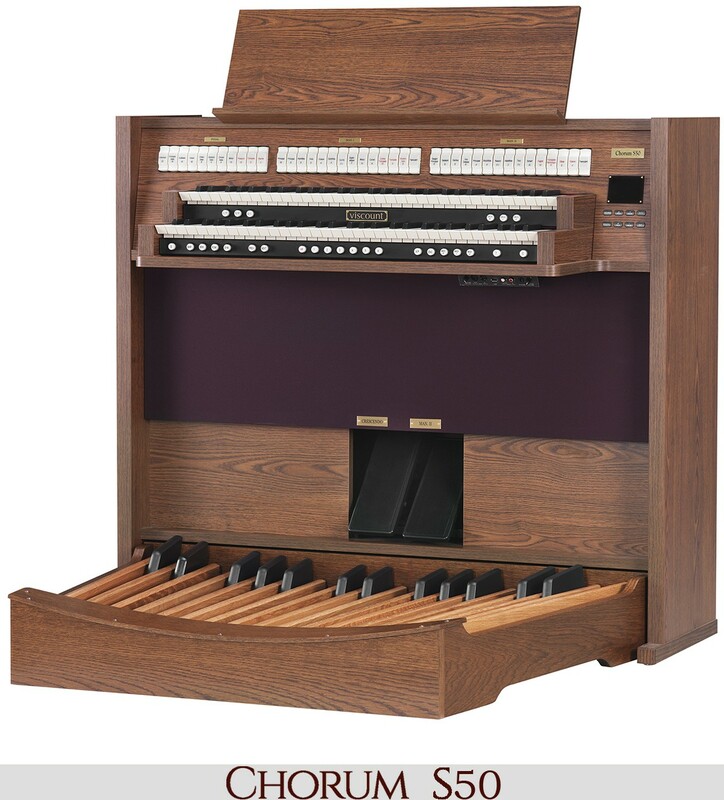 When I interviewed to be called to serve this community in early 2015, I was asked for my thoughts on the organ, and I gave an honest, detailed answer as to its limitations for worship and the performance of organ literature. 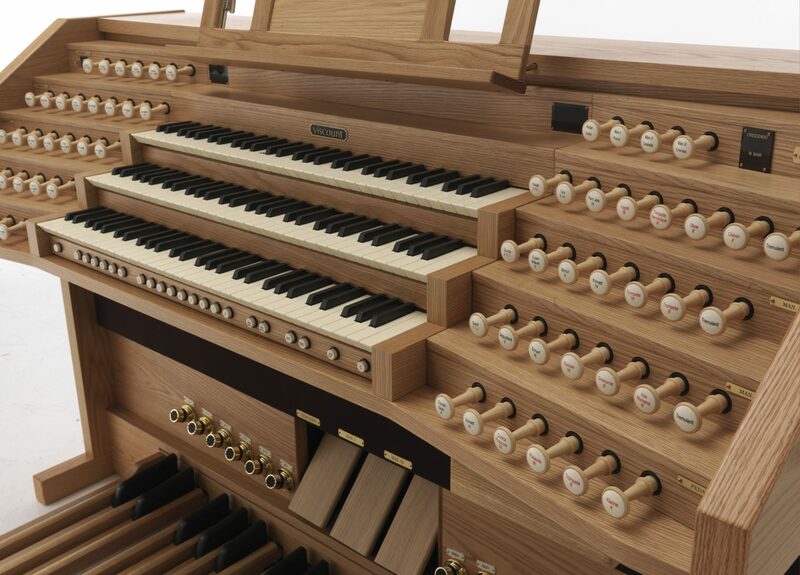 Never did I suspect that within a year’s time, we would be actively pursuing a bold and forward-thinking project, embracing cutting-edge technology, and designing what ended up being, in all respects, my dream organ. I was told to “dream big,” and that I did. Our project’s development is beyond the scope of this letter, but I would be honored to share it with you should you be interested in hearing it, or find it helpful to your discernment. 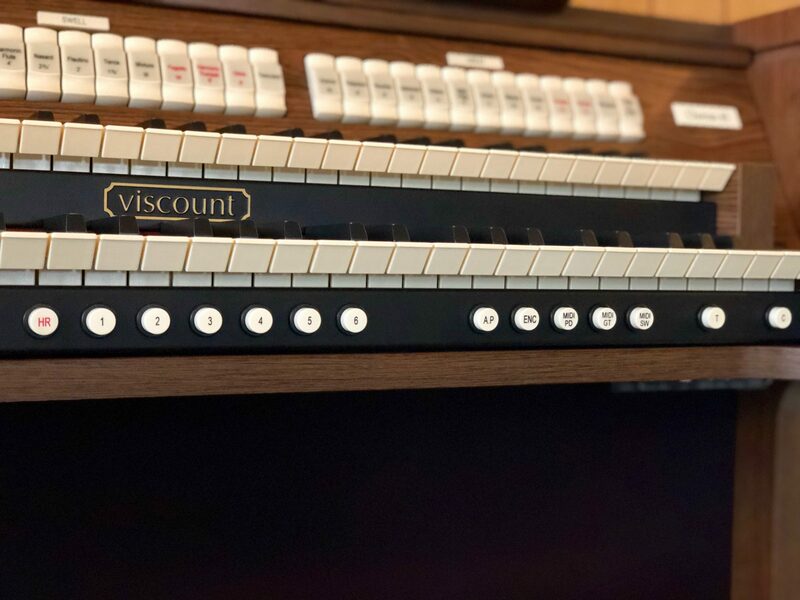 Though I had some familiarity with Viscount Instruments, having played a 1993 Wurlitzer-branded Viscount which was later given to me by the church when they moved to solely contemporary worship music, I was not aware of Viscount’s latest offerings. 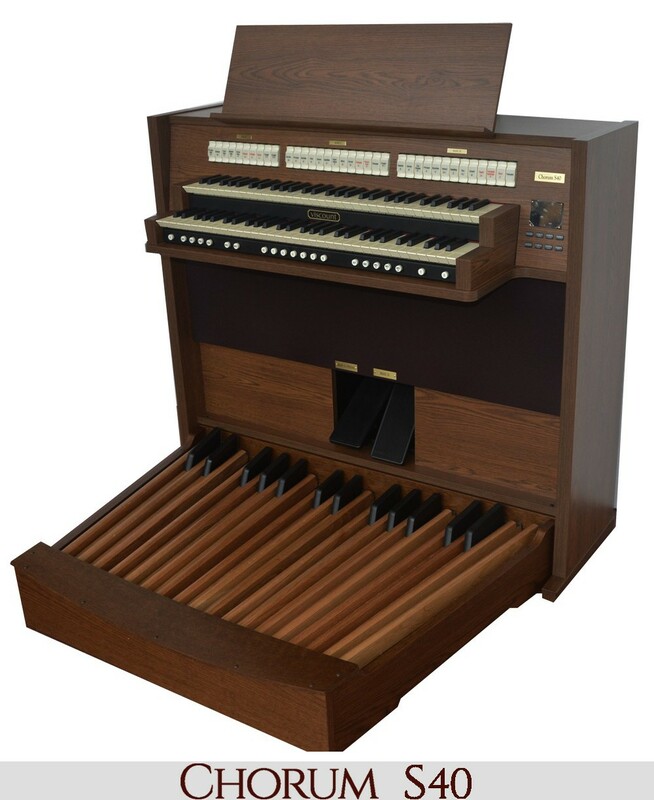 My first contact with Joshua Dove was on a whim; a phone call made one evening after I saw an advertisement in The American Organist magazine. I also reached out to and spoke with five additional digital/hybrid organ builders, requesting formal proposals from two of them. 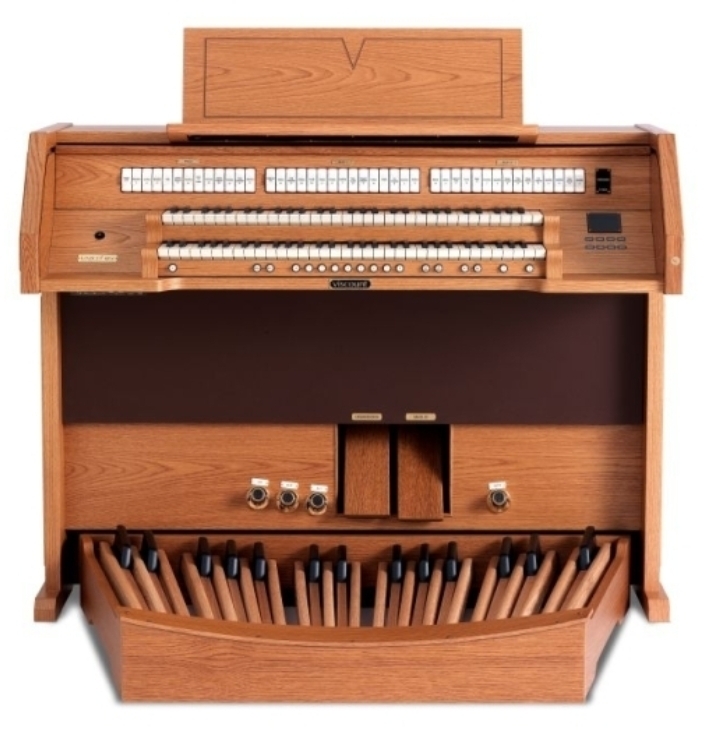 What I envisioned was a near-full-custom instrument built and voiced primarily in the style of Cavaille-Coll, but flexible to convincingly play organ literature of any time period, and also capable of authentically supporting and leading the best of the Church’s hymnody with sonorous warmth. While the frame is of a standard console, the stop specification and everything about the console is fully customized. 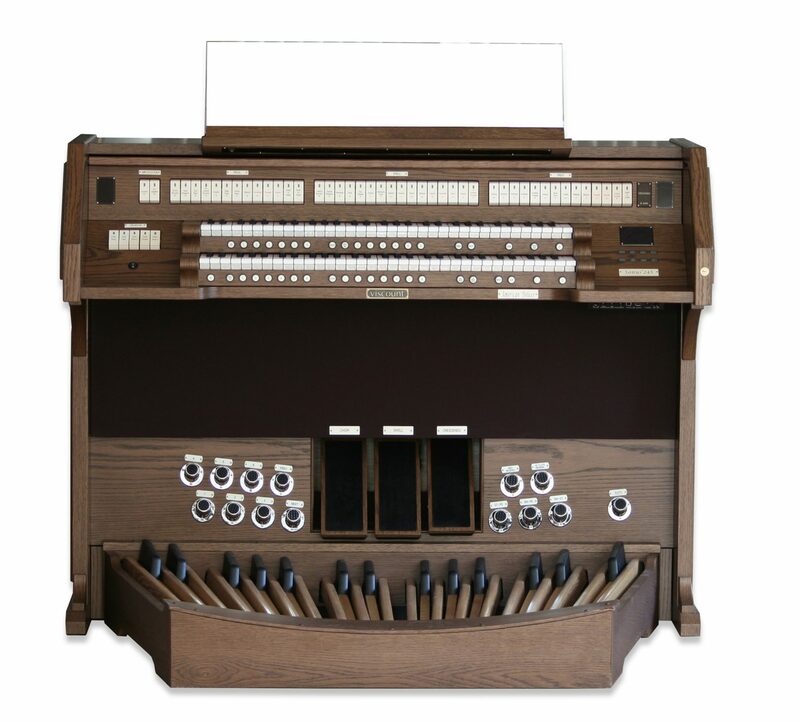 This includes the number, placement, and orientation of toe studs/thumb pistons, color-matching this two-tone console to our pews, bamboo/wooden tracker-touch keyboards, rounded key cheeks, incorporating architectural detail from the church pews recreated on the side of the console, a Walker Technical [Speakers], and two unique stops on the organ, one named after our rector, and the other after my grandmother. could not, and he gave us a passionate, informed, honest, and open discussion about what Viscount could do. Now, at this point, I must be bluntly honest. I was, to say the least, skeptical about what Viscount and Mr. Dove stated they had to offer. Frankly, I did not believe that Physis technology could deliver, or that it would be appreciably different from the recent sampled-sound technology of other builders that I had explored, and their instruments that I played. 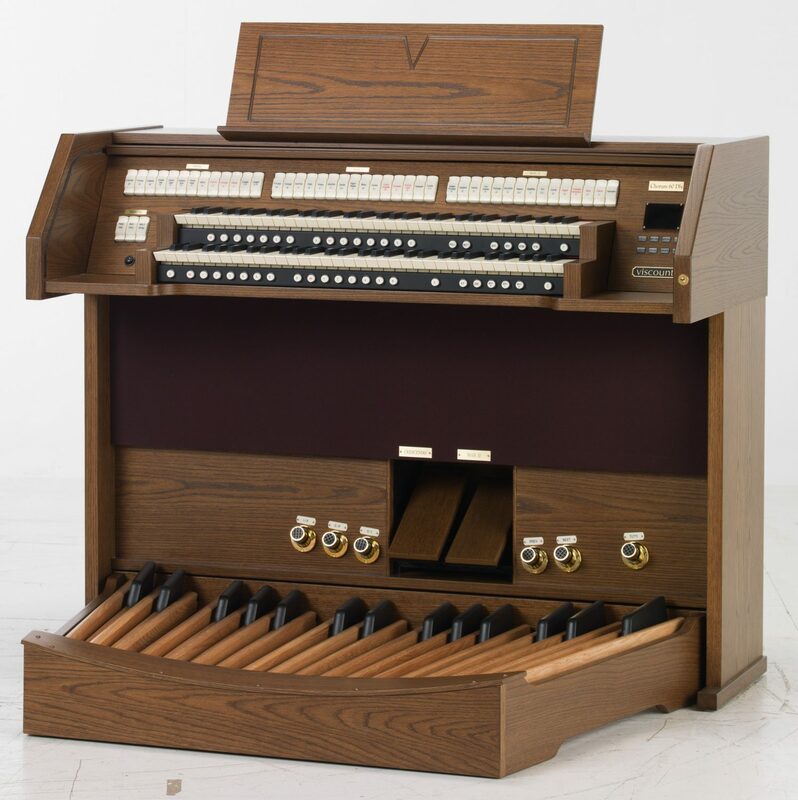 So, at Mr. Dove’s behest, my wife, daughter and I travelled to Connecticut to play a stock Viscount instrument with a custom sound system and Physis technology. 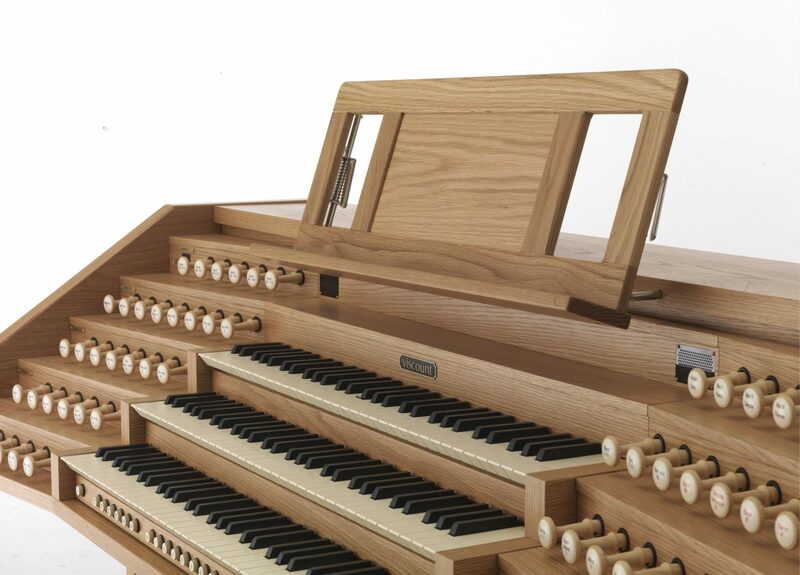 Because of my considerable background in pipe organs and organ performance, as well as some experience as a teenager working for a pipe organ builder, I always believed that digital organs certainly have a place, but could never be an adequate replacement for the pipe organ, lacking the breath and nuance of air-blown pipes. Mr. Dove cautioned me that the organ I was going to play had not been voiced to his liking, at the request of the church. He had me play it as it was, and I was underwhelmed. He then asked me to describe to him what I heard, verses what I wanted, and I was harshly critical of the instrument. Mr. Dove hooked his laptop up to the organ, and stop-by-stop, in a matter of a few minutes, turned the instrument into a remarkable sounding organ that took my breath away. I was overwhelmed, emotionally and musically, but I was also confident that what Mr. Dove and Viscount had promised us was, in fact, really possible. I played the organ for hours, and that evening I e-mailed detailed findings to our rector along with an enthusiastic endorsement of Viscount. He in turn presented it to our vestry, who approved our project to move forward. It’s important to share that this was not solely a business proposition. In a deeply symbolic meeting organized by our rector, the organ contract was signed before the Throne of Grace and in the Real Presence of Jesus Christ in the Eucharist. Thusly, business was not “just business,” and Mr. Dove became a colleague in our ministry and, over the ensuing months, a trusted friend. 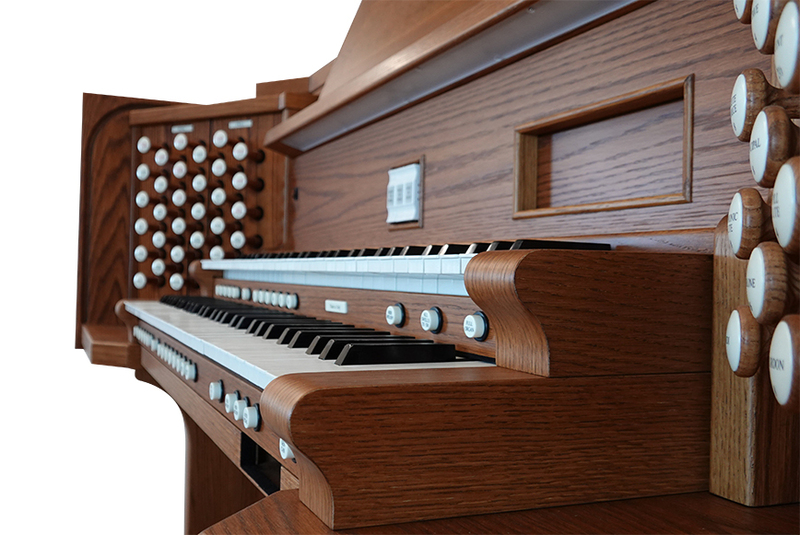 Due the influence of his grandfather, Mr. Dove was – and continues to be – reliably authentic in his relationship with Saint John’s Church, no different than a fine pipe organ builder would be long after an installation is complete. 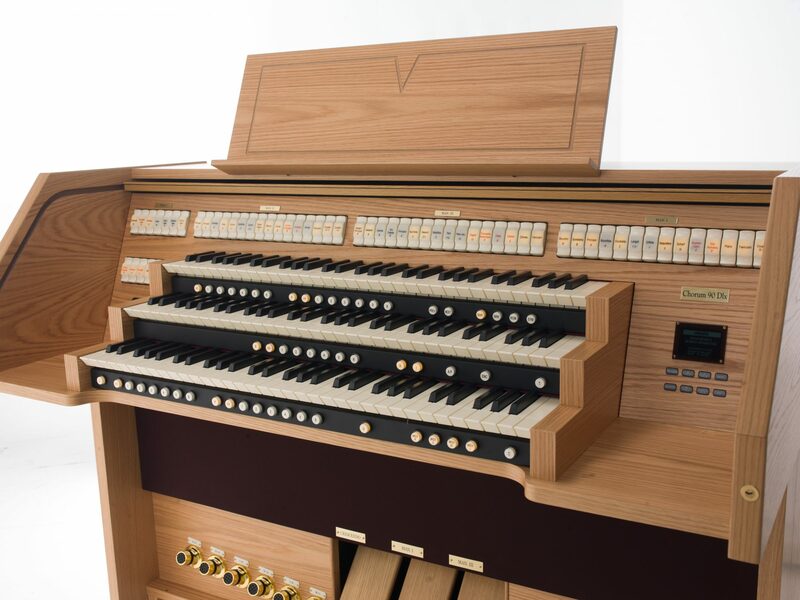 Since we are in an aging sacred space and on a power grid prone to surges and problems, we have had issues with the organ totally unrelated to the installation. Mr. Dove has always been available to help trouble shoot on short notice, even early on a Sunday morning before mass. 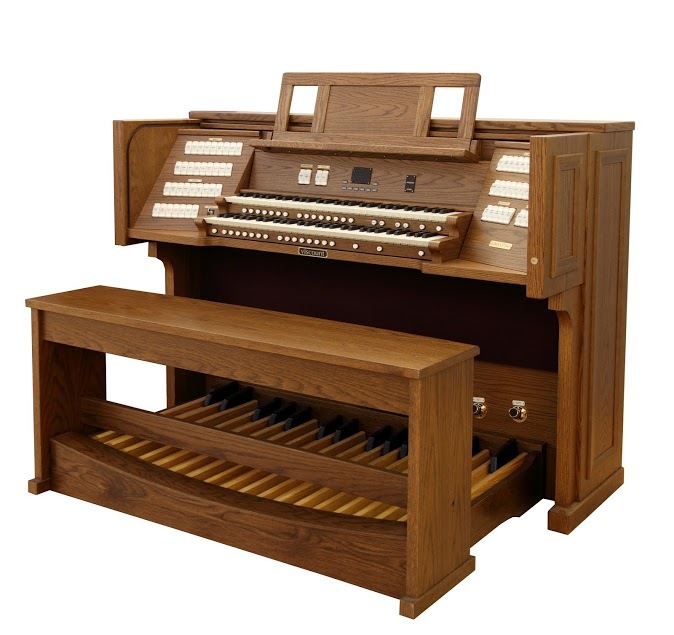 We have never been without an organ because of his prompt attention, and follow-up repairs (solely needed because of our power situation) have always been prompt. As of this writing, our instrument is the largest hybrid instrument built by Viscount in North America. 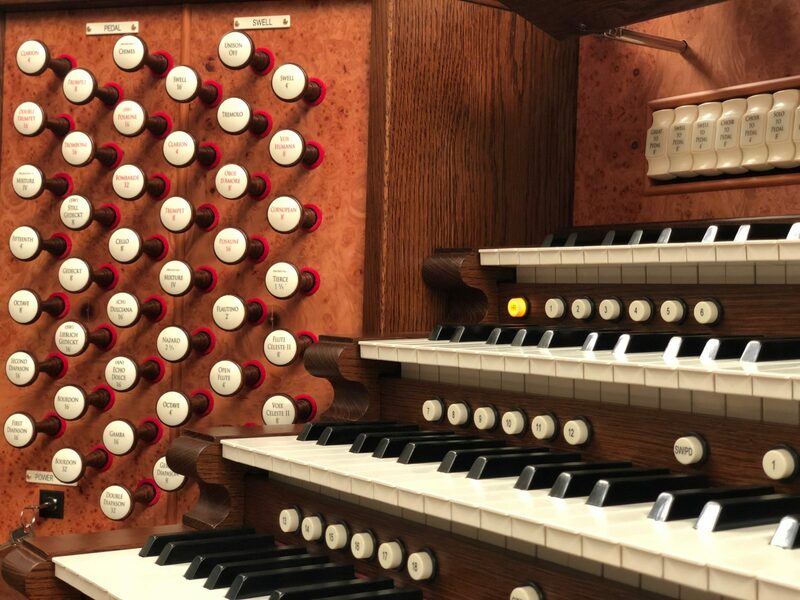 Whitesel Church Organs (Viscount’s Virginia representative) fully rewired our wind chests, integrated the existing pipework to the new console, and repaired three of our sixteen ranks of pipes that were in desperate need of maintenance. The pipe organ technician was jovial, experienced, careful and deliberate. Though there are many companies geographically closer to us, we elected to retain Whitesel on a biannual service contract. The initial digital voicing which took place was done in consultation among me, Mr. Dove, his pipe organ technician, and Viscount. The voicing process is ongoing, as I frequently change stops or voicings since I have a library of over 1,000 ranks of Physis pipes from which to choose. I can also record myself playing, and listen from various parts of the room to make changes for the desired effect. Having played this instrument no less than twice a week for just over a year now, I can say that Viscount’s Physis promise is not only accurate, but has exceeded my expectations in every way. 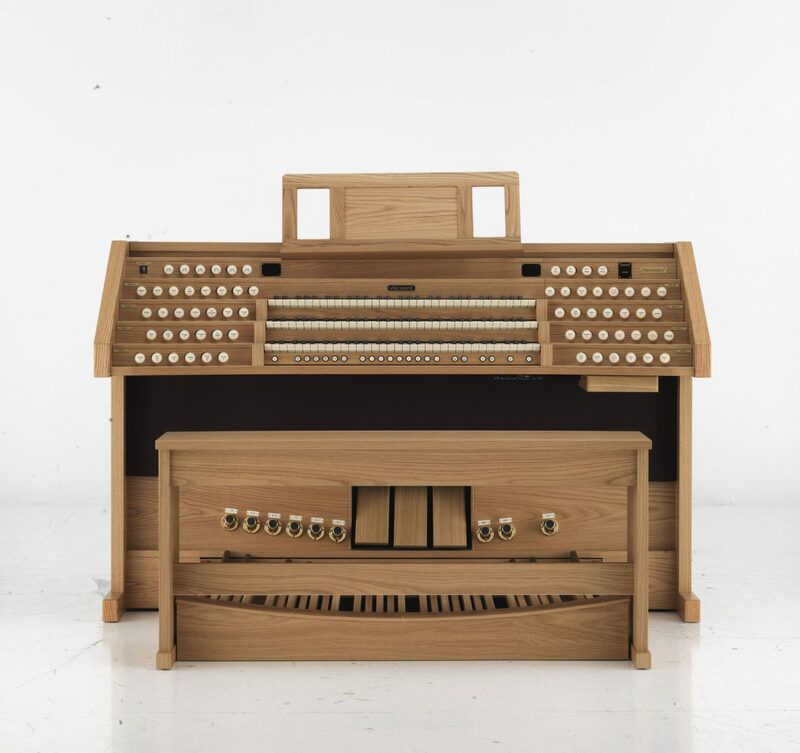 From lush warm undulating string celestes, to convincing principals and mixtures, to chiffy flutes, to snarling chorus reeds, to big pedal stops which quite literally shake the building, this organ breathes and speaks like a pipe organ. Pipe and digital stops played together in any combination blend seamlessly. 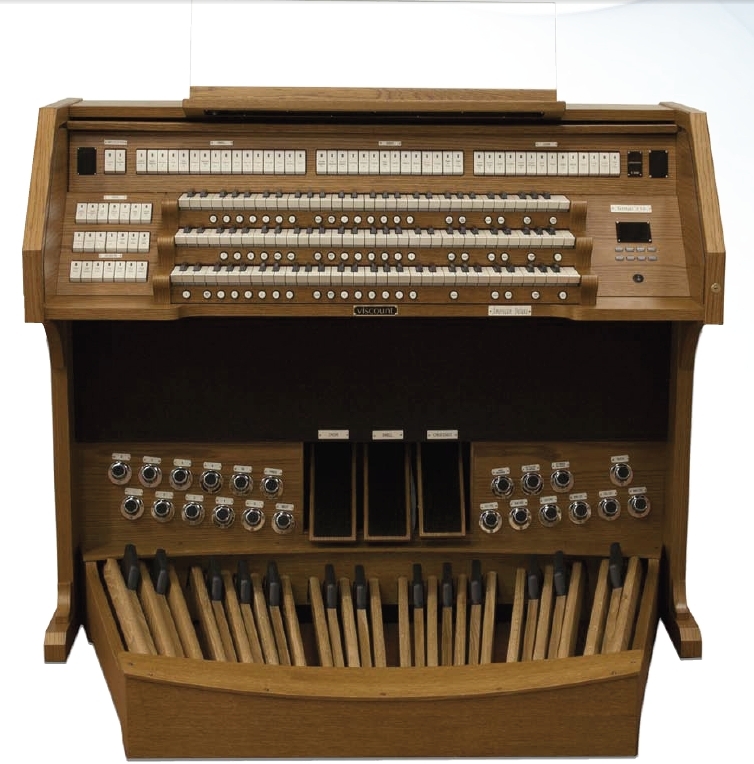 Visiting organists, priests, and musicians alike have all commented that the only way they can tell what is digital and what is pipe is subsequent to being told from where the digital stops speak. 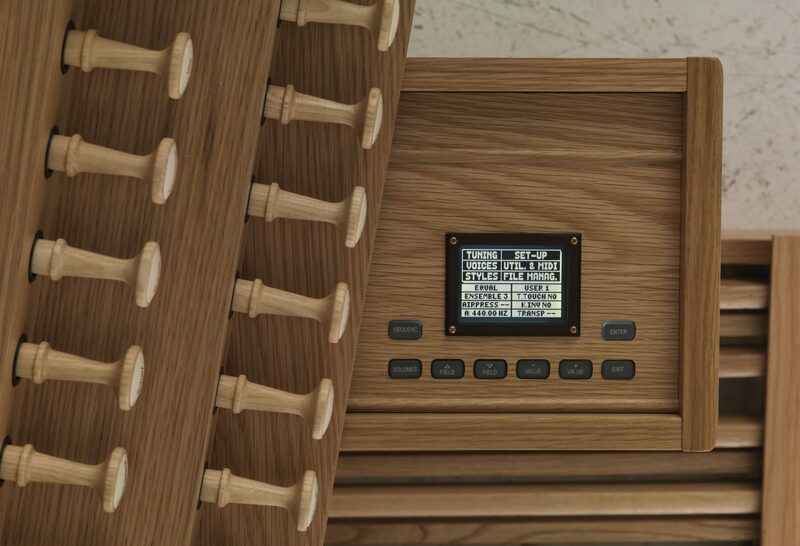 Even more remarkable to me over time, and what makes this instrument sound so authentic, is that Physis even replicates the imperfections of pipe organ speech and function that gives them such unique character. In a live acoustic, myriad sins can be hidden whether the notes flow from pipes or speakers, because the room makes up for speech deficiencies. Our room is near acoustically dead despite all the hard surfaces, because of its size, shape, and pew cushions which absorb most of the reverberation. For these reasons, I find Physis technology to be truly grand in what it can do. Saint John’s took a step in faith by entrusting the expansion of our music ministry to Viscount and Mr. Dove. We took time, deliberated, and listened carefully to what the Holy Spirit was telling us, and where the Holy Spirit was guiding us. I am so very thankful that we did. Sadly, I have heard some untruthful and negative comments about our instrument from some of Viscount’s competitors in their efforts to land sales. It’s important to note – somewhat amusingly – that they have never actually heard our instrument! While it disappoints me that an industry which primarily serves religious institutions would stoop to unprofessional and unchristian business tactics, the proof is in the organ. Anyone interested in it is encouraged to reach out to us at the faith community which owns it. Our rector, The Rev. Dr. J. Derek Harbin, is also a trained musician, and his opinion of the instrument is at least on par with mine. To that end, we at Saint John’s are always willing to arrange time for anyone to hear, see, and play this amazing instrument. I have some short clips available on YouTube, and I am also willing to send photographs or answer any specific questions that may help you in your discernment process. Thank you for taking the time to read this letter, and I apologize for its length, but I wanted to give you a detailed and accurate account of our experience with Viscount and Mr. Dove. I fully commend them to your consideration without any reservation, and I am always available should you need further information. Rejoice, let Mother Church also rejoice, arrayed with the lightning of his glory, let this holy building shake with joy, filled with the mighty voices of the peoples. 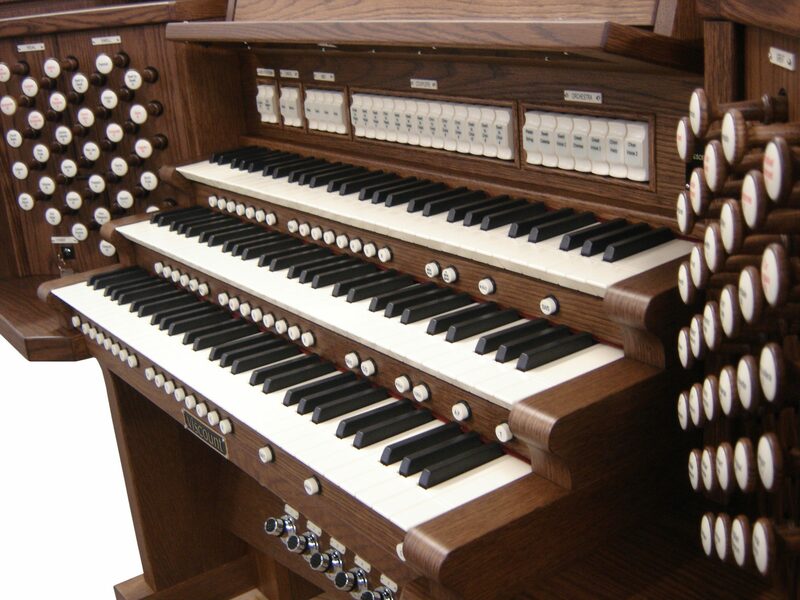 The Exsultet Organ comforts us in sorrow, washes away faults, lifts our prayers to God most high, thunders forth the joy of the Spirit, and proclaims the life, death, and resurrection of the Morning Star which never sets. “We sing our theology.” Amen, and Amen! May you and your ministry be richly blessed with peace and grace in the years to come!